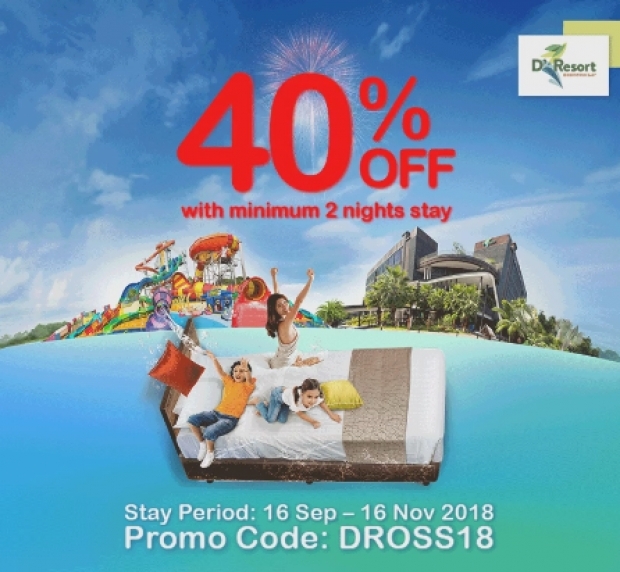 Enjoy 40% OFF your October Staycation when you stay a minimum of 2 nights at D'Resort during 16 Sep - 16 Nov 2018! 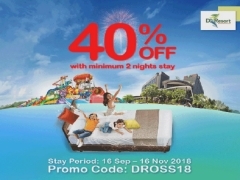 • Valid for stay from 16 September – 16 November 2018 but not applicable during blackout dates. • BBQ pit booking is only available for Beach Cove, Beach Cove Duplex and Mangrove Walk rooms and is subject to booking fee and availability.